Goodbye 'Angry Birds', welcome 'Flappy Bird'! Filipinos are now hooked to the new mobile game dubbed as the "Drug of the App Store". On Twitter Philippines, Flappy Bird is consistent on the trend list since Tuesday as netizens express their emotions playing the infuriatingly addictive game ever. According to Wikipedia, Flappy Bird is a 2013 bird flying game developed by Hanoi, Vietnam-based developer Nguyen Ha Dong and published by .GEARS Studios, a small, independent game developer based in Vietnam. It was released last May 2013 for iPhone 5. In January 2014, reports say that it topped the free category of the American and Chinese iTunes App Stores. In the same month, it was considered as the most downloaded App on the App Store. Flappy Bird is also available for download on Android. The main goal of the game is to fly a bird (by tapping the screen) without hitting pipes. If a bird hits an obstacle then the game is over. Each time the bird flies through a set of pipes the player receives a point. The environment of the game is with similarity with 'Super-Mario' as the graphics and mechanics are simple. Flappy Bird is known for being 'insanely irritating, difficult and frustrating' based from users review. TheSummitExpress admin have tried the game for about 2 days now and discovered that it's really difficult and requires some patience. For the record, admin high score is now six and felt achievement on this. Yes! and will continue to score high! A netizen from Twitter, Havivi Adinda said: "Actually, Flappy Bird teaches us about the meaning of life. It always has ups and downs, means that life is never flat." 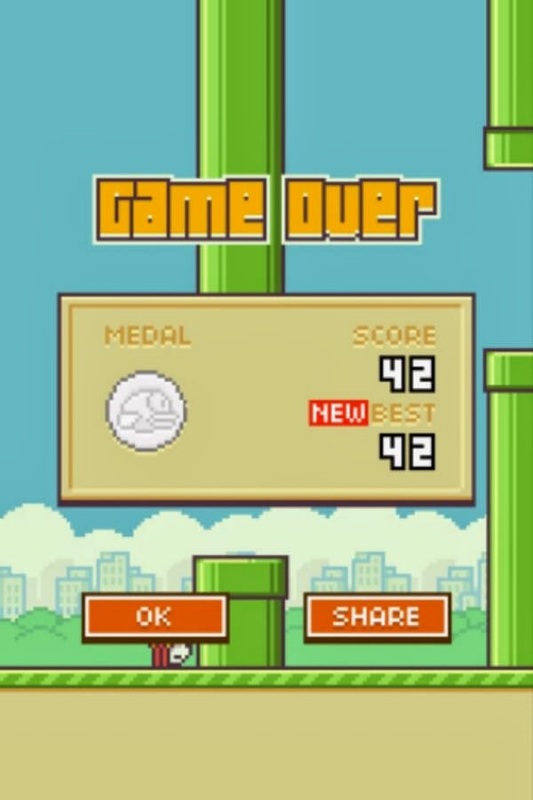 As Flappy Bird goes viral, netizens create memes to signify mixed reactions for this game.